On March 5th award winning start-up and bespoke tailoring company A Suit That Fits launched their first national campaign A Suit for Success, in conjunction with The Nurture Network and by collaborating with three homelessness charities. We kicked off the campaign with a national call to the men and women of Britain to donate their unwanted suits to help homeless people dress for success at their job interviews. We did a photo call with Eddie Jordan and David Coulthard – both of whom donated a suit on camera to the campaign. 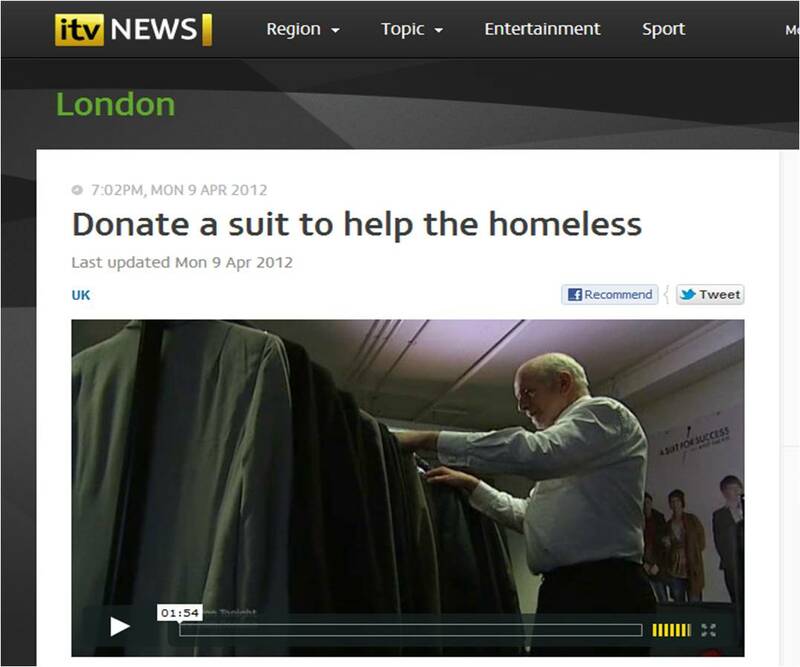 We have been featured in the Guardian, Daily Mirror and Mail on Sunday, we’re kicking up quite a storm on twitter at #aSuitforSuccess, and today we were on ITV news. To see our news feature click here. The Nurture Network has been working with A Suit That Fits to provide board-level marketing leadership since the middle of 2011 on a part time basis. This campaign is the first initiative to hit the market as a result of the 2012 planning cycle we have done with the small in-house marketing team – and we’re really proud of the results. To hear more about the campaign read our previous article about the launch here, and visit our A Suit for Success webpage.